Yoco Tap is a new feature on the Wireless Pro card machine. This contactless form of payment lets your customers pay for smaller purchases by simply tapping their card against the card machine. Your customers can pay with a single touch, their card never has to leave their hand. A tap is all it takes, offer your customers convenience and shorter queues. 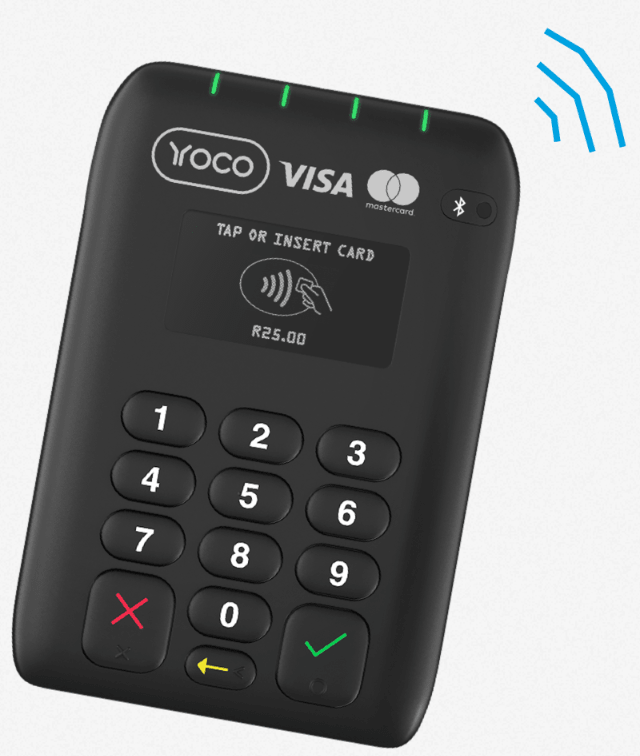 Yoco Tap uses Near Field Communication (NFC) technology to communicate wirelessly with other NFC enabled cards or devices. The NFC chip in the Wireless Pro ‘talks’ to the chip on Visa and MasterCard contactless cards as well as Samsung Pay and FNB Pay on mobile devices. Accept more payments at peak sales times. Tap payments are much faster than normal card payments so you can accept more payments from more people in less time. It’s also more secure as the card never has to leave your customer’s hand. It’s safe, simple and really fast. IS THERE A TAP LIMIT? Have a look below for all you need to know. We’ve put limits in place so that higher value transactions still need a PIN. Encryption technology makes contactless as safe as chip and PIN. Yoco Tap is as secure as regular chip card payments as it uses encryption to protect your customer’s details. Yoco merchants are covered with zero liability protection which means you’re not liable for unauthorised transactions. Every card also has a built in security check so your customers will have to enter a PIN from time to time. What our merchants are saying. Frequently Asked Questions about Yoco Tap. How do I accept Yoco Tap payments? How do I enable Yoco Tap payments on my Wireless Pro Card machine? What are the benefits of Yoco Tap? How do I process a payment if the customer’s card does not support Yoco Tap? Is Yoco Tap an optional payment method? 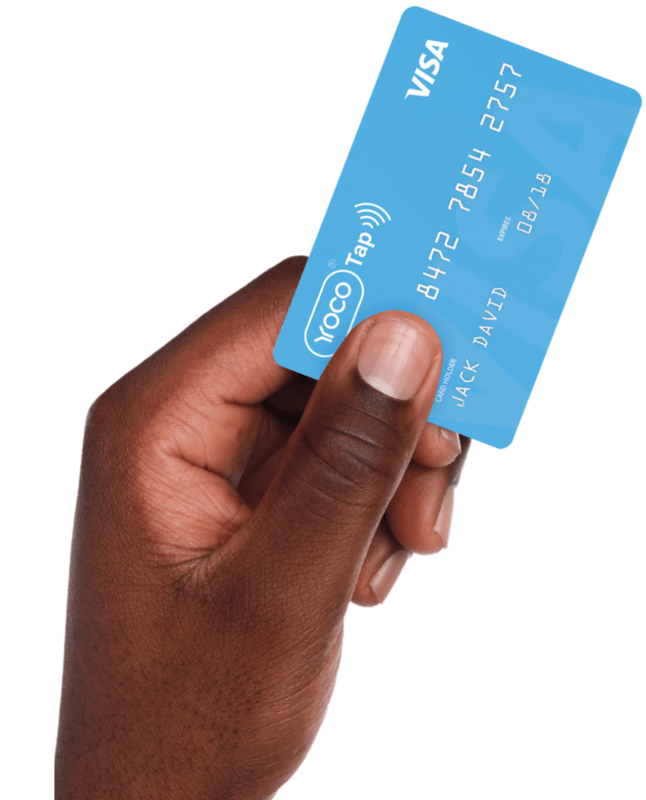 Does Yoco Tap work with mobile payments such as Samsung, Google, Apple and FNB Pay? How do I know if a customer’s card is enabled for Yoco Tap? How do I initiate a Yoco Tap payment? Will I be able to process any transaction with Yoco Tap? Can I process Yoco Tap payments on the Yoco Wireless Lite card machine?